Cindy is from Stuarts Draft where she was born and raised. Her dream was always to work at a veterinary clinic, and in 2006, her dream came true when she joined our team as a receptionist. 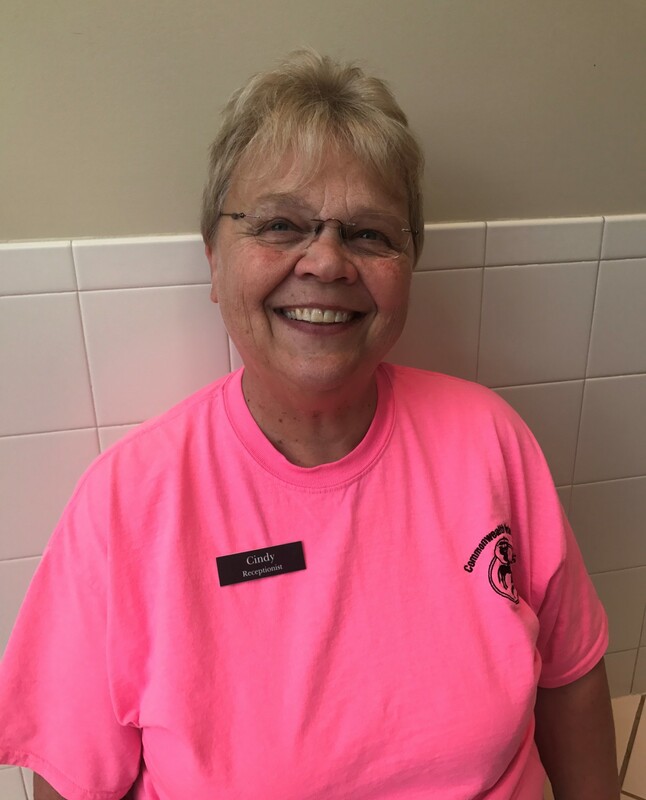 Cindy's patience and kindness keep the front desk running smoothly and the phones under control. She enjoys spending her time outside work with her husband Donnie, riding horses, traveling, family, friends and her huge dogs, Ashwin, Bear and kitty Tar. Miriam is originally from the Richmond, VA area, where she grew up on a farm. She graduated from Radford University in 2017 with a B.S. in Environmental Biology and has since, called Waynesboro her home. Miriam also gained valuable experience during her externship at the Wildlife Center in the fall of 2017. 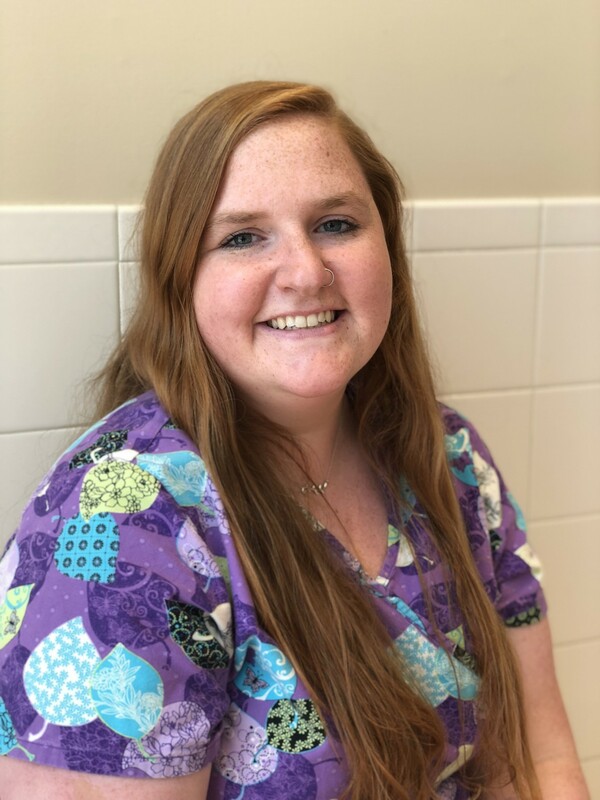 She is excited to continue growing her experience in the animal field, by joining our team at CVC. Miriam spends most of her time enjoying the outdoors with her significant other, Monte and with her Pitty Nami, kitten, Citra and chameleon, Ghandi. Morgan is from Stuarts Draft, where she is the only female of two half brothers, one step brother and 3 male cousins. Through her high school years she was an active member of the FFA and always has had a soft spot for animals as a child. 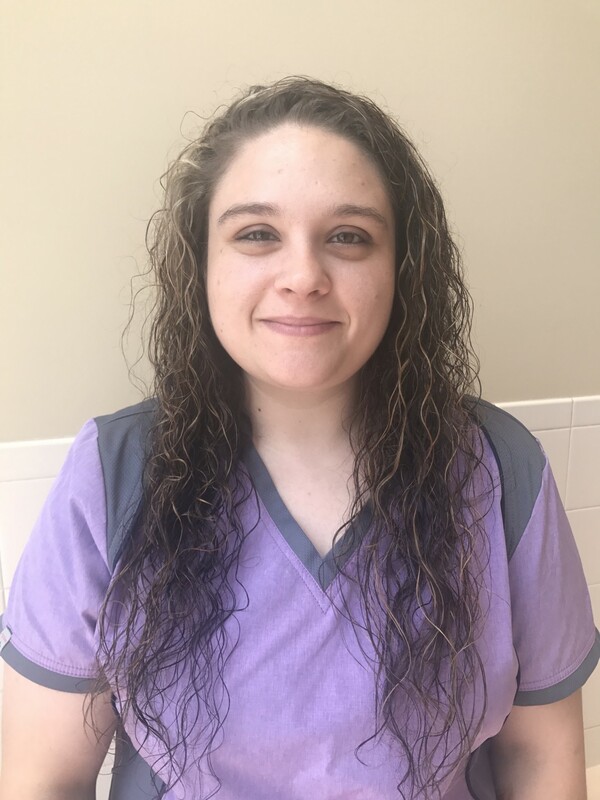 She has been a dog groomer for years but enjoys the veterinary field and may decide to pursue a career as a veterinary technician. Morgan has a 4 year old son, Jase and a 6 year old boxer, Chloe. She enjoys spending time with her two and four legged children, being outdoors, and spending the day at the drag races with her family.